The challenge with looking professional as a woman in medicine is that the traditionally male-dominated field has set the bar pretty low for attractive and flattering uniforms. Historically, almost all medical lab coats available have been unisex, with a very boxy shape that tends to look like a white smock. That doesn’t look very professional. And it doesn’t make you feel very professional, either. If this is a familiar situation for you, it’s probably time to upgrade your lab coat to one that is actually made for women. I recommend the classic Callia M., which was actually first developed back in 2008 as the very first women’s lab coat in history. Since then, it has been modernized and had its design upgraded to fit better than ever. 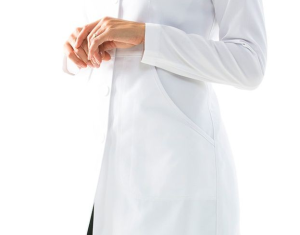 Check out our favorite features from this timeless style of women’s lab coat. This entry was posted in Lab Coats, Trends In Medical Apparel, Women's Lab Coats and tagged Design Details, women's lab coats on October 25, 2016 by Ariel Jacoby. A decade ago, this headline would not have existed because there existed no lab coats just for women! We’ve come a long way since then, and today there are quite a few different non-unisex options for female professionals working in healthcare. 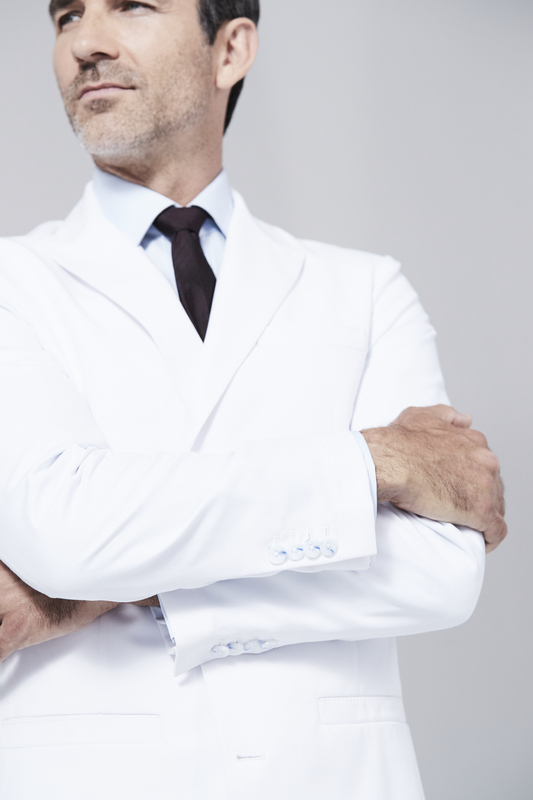 Choosing a lab coat with pockets appropriate for you is an important factor while shopping for your lab coat, though there are really only two main options. 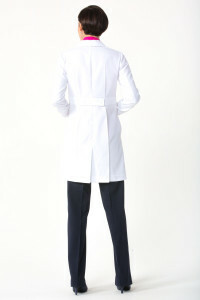 The first, which you can see here with the Callia M. lab coat from Medelita, is a patch pocket. It looks like a square or rectangle patch that is large enough to fit a small tablet and notebooks, in addition to anything else you need to carry. The other option is a pocket more like what you would see on a blazer-style jacket. 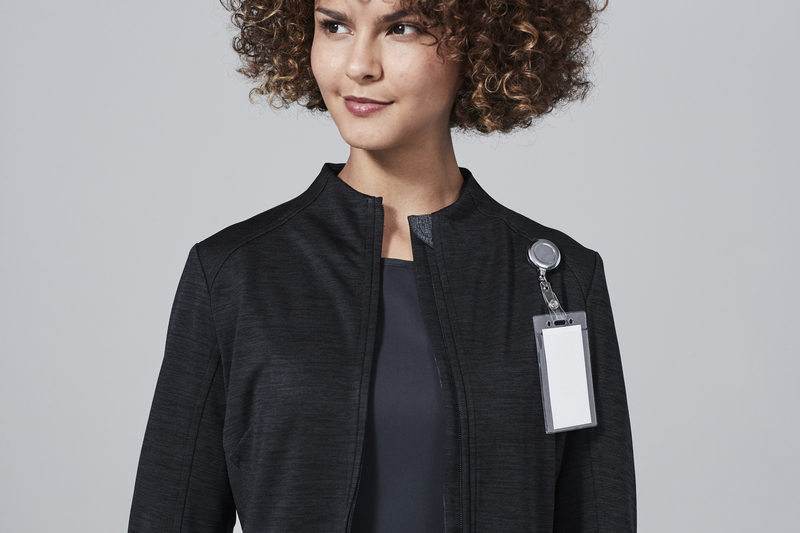 You can see this on the Miranda B. lab coat from Medelita. Though perhaps not as functional since you probably can’t fit an iPad in these pockets, the slanted angle creates a flattering silhouette by slimming with vertical seams. What do you think? 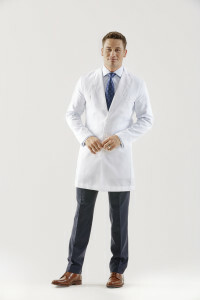 Which lab coat pocket style do you prefer and why? Let us know in the comments section! This entry was posted in Lab Coats, Trends In Medical Apparel, Women's Lab Coats and tagged Design Details, Lab Coats For Women on October 12, 2016 by Ariel Jacoby. The perfect scrub for you probably depends on your specialty and medical profession. Nurses have different requirements from their workwear than physicians in the same field, and certain specialties have stricter requirements for what is needed in terms of their uniforms. These differences can most commonly been seen with pockets. Every medical professional in every specialty requires pockets to hold medical instruments and general “stuff”, but exactly how many pockets and where they are placed on the scrubs really depends on the field you’re working in. It’s likely that you’re going to run into some scrubs that don’t fit your pocket needs before you find your ideal set of scrubs with perfectly placed pockets. One pocket feature that has been adapted into nearly every type of scrubs pants, however, is the rear pocket. 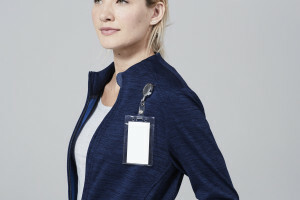 If you are a medical professional who doesn’t use this back pocket, you might feel that this feature, though meant to be helpful, actually is unflattering for your bottom. 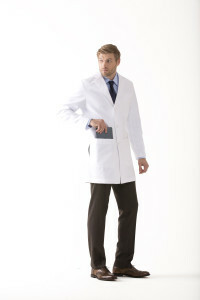 But some medical professionals in certain specialties swear by these back pockets, and say they use them all the time. What are your thoughts about rear pockets on scrubs pants? Do you use your pockets every day or at least occasionally? Or is this a feature you’d prefer not to have on your scrubs pants? Comment and let us know! This entry was posted in Medical Scrubs, Trends In Medical Apparel and tagged Design Details, Scrubs, Scrubs Pants on August 8, 2016 by Ariel Jacoby.